December 1st, 2018. Georgia takes a 28-14 lead early in the third quarter of the SEC Championship Game and appears to be in firm control of the game. Then, Alabama head coach Nick Saban benches starting QB Tua Tagovailoa in favor of backup Jalen Hurts, and the game changes dramatically. Hurts leads a furious Alabama rally that he caps off with a TD run to take the lead and secure another Alabama victory. While the Crimson Tide celebrated, the feeling was far different on the other side. This was another missed opportunity for a Georgia sports team to win a major game over elite competition, another year with an agonizingly painful finish for the faithful fans of the Bulldogs, and another disappointing end to a season full of promise. What was even more excruciating for Georgia sports fans was that this was not the first time they had suffered a heartbreaking defeat in a major game. The Bulldogs held a 21-10 lead in the 2011 SEC title game against Alabama only to blow that lead and lose on the last play of the game. In the 2018 College Football Playoff Championship Game, Georgia put forth a dominant first-half performance and led 13-0 at halftime, only to relinquish that lead as well and lose the game, yet again, on the last play. February 5th, 2017. Everybody remembers the famous blown lead by the Atlanta Falcons, who allowed Tom Brady and the New England Patriots to come all the way back from being down 28-3 in the Super Bowl to win the game in overtime. That game appeared to be the Falcons’ best shot at winning their first Super Bowl in franchise history, making it sting just a little more. The Georgia Bulldogs basketball team has only made one Final Four appearance (1983) in its 128-year history. The Atlanta Hawks had one of their best seasons in franchise history in the 2014-2015 campaign, but their first NBA title since 1958 eluded them as they were swept by LeBron James and the Cleveland Cavaliers in the conference finals. Shockingly, the Georgia Tech football team, with its 4 national titles (1917, 1928, 1952, 1990), can make a claim to be Georgia’s most successful sports team of all-time in terms of championships won. In fact, the last championship brought home to the city of Atlanta came from the Atlanta Braves, who won the World Series in 1995. At least, until 2018. Atlanta’s new Major League Soccer (MLS) team, Atlanta United, won the MLS Cup in just their second season of existence on December 8th of last year. The outpour of support from the city and developed talent led to a rare championship for Atlanta. Now, this result begs a question: Why was Atlanta United able to do in two years what every other major professional or college sports team in Georgia (most of which have better resources and fan support) could not accomplish in 23 years? The city often labeled “The Capital of the South” has all of the resources, fan support, management, and available talent to house elite sports teams. There should, ideally, be no excuse for Georgia sports teams to continually disappoint their fans. But, whether it be blowing leads (Georgia teams are now ridiculed nationwide for this thanks to the Falcons and Bulldogs) or tragically losing close games, Atlanta and its surrounding teams cannot seem to win important games, and in turn championships, on a consistent basis. Therefore, what is the issue? Is it just a string of bad luck, was a “curse” placed on the state’s sports programs a long time ago, or is it merely poor play in major games? To me, the unfortunate results have been a combination of multiple factors. First, a common theme found within most of these games has been the fact that Georgia sports teams just are not on the same level as some of the dynasties that they keep running into. Georgia has faced Alabama on three different occasions when the Bulldogs had a shot at winning a national title, all three of which were losses. 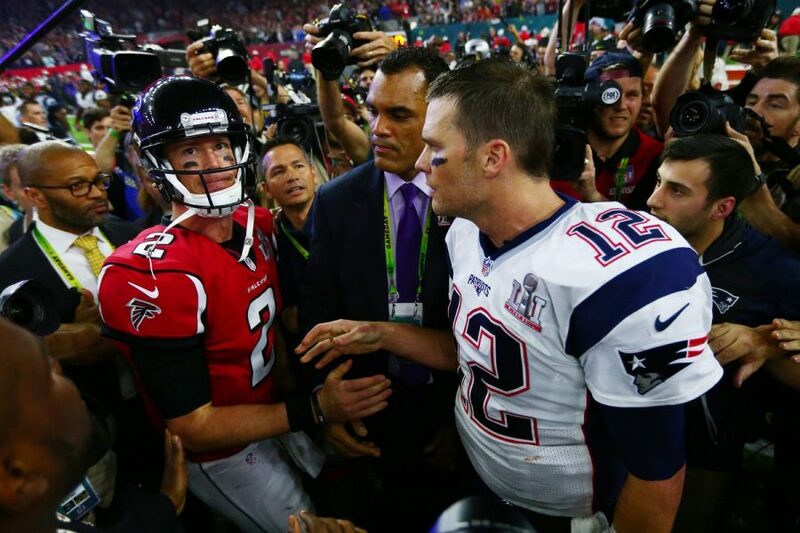 The Falcons took on one of the greatest dynasties in sports history when they squared off with Tom Brady and Bill Belicheck, while the Hawks were humbled by the Cavaliers and LeBron James, who is widely regarded as the greatest basketball player of all time. Add that on to some poor play calls (see Kirby Smart’s 4th and 11 fake punt call in 2018, etc, etc), admittedly shoddy officiating at times, and frankly just some unlucky bounces, and it is no wonder that Georgia’s sports franchises keep on experiencing undesirable results. The reality in the state of Georgia is that, despite the potential for success and frequency of good teams this state has seen, we have not experienced any sort of dynasty-like team in the 21st century. It is going to take a lot from an incredible team to break that barrier, like Atlanta United did, and get over the challenge of taking down some of the country’s best sports teams en route to a championship. But, as sports fans in the southeast, patience is not our strong suit. The people of Georgia want results now and are tired of moral victories. Although it is not what people want to hear, it will take time. The Georgia football program is painfully close to winning a title under Kirby Smart, the Atlanta Braves are primed to be near the top of the MLB for years to come with the young stars they have, and the Falcons have the talent and experience to make another push if the team can fill a few holes. Other than that, with United’s stars all departed, the Hawks in full rebuild mode, Georgia Tech’s football program just hiring a new coach, and both UGA and GT’s basketball programs struggling, the outlook for another championship likely rides with three teams. Georgia football, the Braves and Falcons all are currently learning how to be championship-caliber programs on a consistent basis, which is difficult to do and takes time to accomplish. So, the question remains: How long will it be? How much longer will the people of Georgia be able to deal with being “so close, yet so far” from a sports championship, especially after watching a brand-new team win one in just two seasons of play? Personally, I say not much longer. The struggle for these teams is not getting to championships, but finishing the job by winning them. After being on the cusp of bringing home some hardware on multiple occasions in the past ten years, the breakthrough is coming. Slowly, but surely.